Times tables are the foundation for a strong Maths skill. And young children are expected to be strong in their time tables for their mental mathematics in their KS1 and KS2 levels. Many kids still find it difficult to grasp the timetables because they are dry and boring. So, creating a positive impact on the children in learning times tables becomes important. To start with, let's explore different ways how we can introduce the times tables to the kids and its impact on the kids. Make your own time table chart with your kids using different colors/sketches and stick them on the wall where the kids can notice them everyday. Or you can create your own timetable flashcards and it everyday with your child. If you are unable to make one yourself, you can either print the times tables chart or buy one from local shops. The impact of this method is brain mapping. Research has shown that by transforming anything that is boring for the brain like names or numbers which the brain does not like to remember into visual ones, we train the brain to memorize it even without making it aware that we are tapping the information into it. This visual representation of the timetables is a great way to provide a smooth navigation of information between the eyes and the brain and you will be astonished of how quickly your kids can learn the timetables. Kids are very clever in recognizing patterns. You can help them mark the patterns in the time tables by associating the answers with their respective numbers. The easiest ones are pattern of even numbers for two times tables, the endings 0 or 5 for five times tables, 0 for ten times tables, the squares of each number, using diagram, times tables games and sometimes associating them phonically. Most of the time, kids will know time tables 2, 3, 4, 5, 10 and 11 quickly. But as they proceed forward, they struggle to remember multiples of 6 , 7, 8 and 9 tables. The easy way to make learning the bigger numbers are making sure that they can associate the numbers in their timetables. Make them associate the number that 3 x 7 and 7 x 3 has still the same answer 21. This can be done by quick practice while learning the smaller numbers. 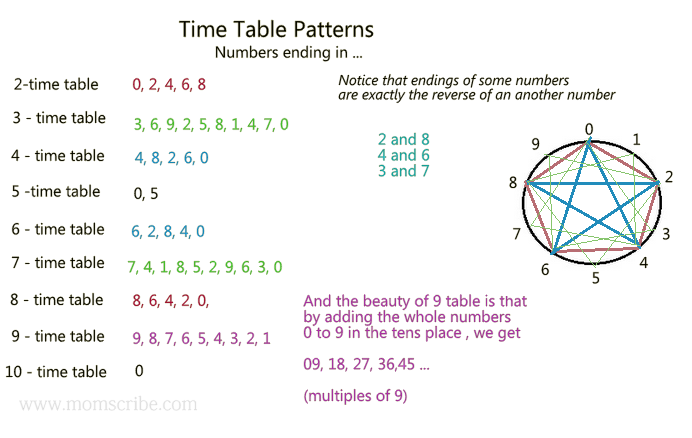 The impact of this method is that kids will know half of the times tables for bigger numbers like 6, 7, 8, 9 and 12 until their 5's including the trick we have associated in recognizing the patterns. 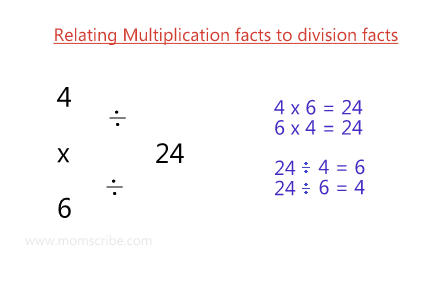 One important thing to note that while still learning the smaller numbers, help the kids relate the multiplication facts to division facts. All the above methods are taught in school using different materials like rods, base 10 blocks, number lines and pictures. Skip Counting - Using number line, skip count a particular number (number 8) to a desired number of times (number 3) to get the answer ( number 24) . 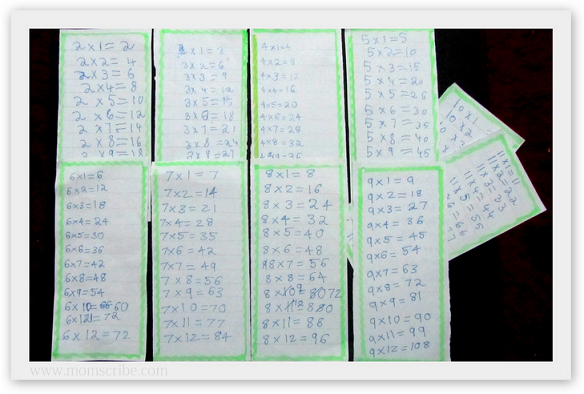 Repeated practise helps kids visualize the number line for quick multiplication. Repeated addition - As the name suggests, it is adding the number 8 trice or adding number 3 about 8 times. Arrays - Representing numbers as dots in a row-column fashion. Grouping together - Representing numbers as groups in a visual manner. The above image is an example of the multiplication wheel from 1917 recently found in old Chalkboard drawings from 1917 recently uncovered in Emerson High School, Oklahoma. 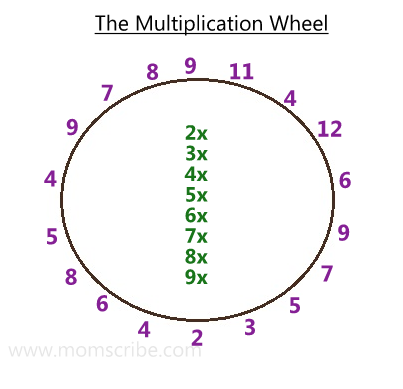 This method is believed to be a times tables drill wherein the teacher helps the students memorize the table by calling out their name and working her way around the wheel in a random manner. Waldorf education is a sort of kinaesthetic learning. 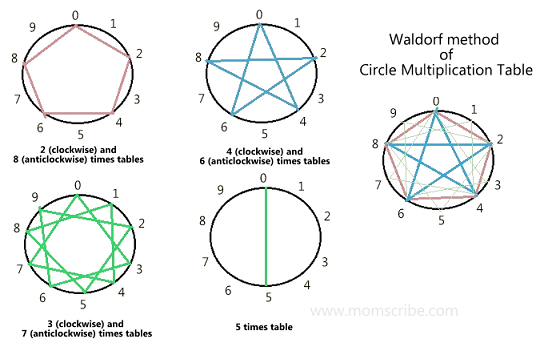 To make multiplication fun and easier, one technique used by Waldorf is the "Circle Multiplication Table" which is basically taught by wrapping the yarn in a circular disc or ring board of 10 pegs, each numbered from 0 to 9. This method represents a certain pattern like pentagon, star, etc. for different time tables. The impact of the above methods helps kids to associate numbers and its related facts in various forms and ways using creative, pictorial and imaginative techniques. This is really crucial for kids in their early childhood education to enhance their power of imagination. 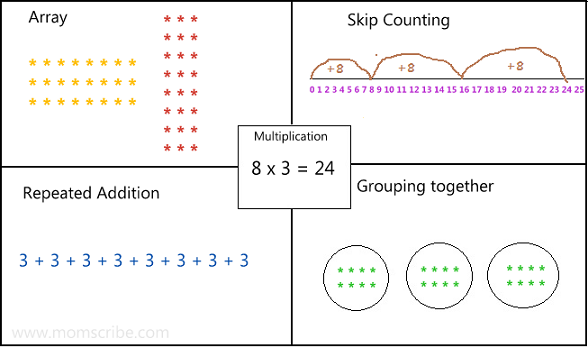 Apart from the above ways, kids can learn multiplication in a fun way through online games from various resources like Woodlands-junior resources, BBC times tables grid game, multiplication, topmarks, etc. Hope you have enjoyed this post. Please do share your thoughts in the comment section below. Wow! Super methods!!! Great tips, Uma. Times tables have been interesting for me as they amuse me with their arrangement every time I read them. Every child would love mathematics if every teacher follows such techniques for teaching.